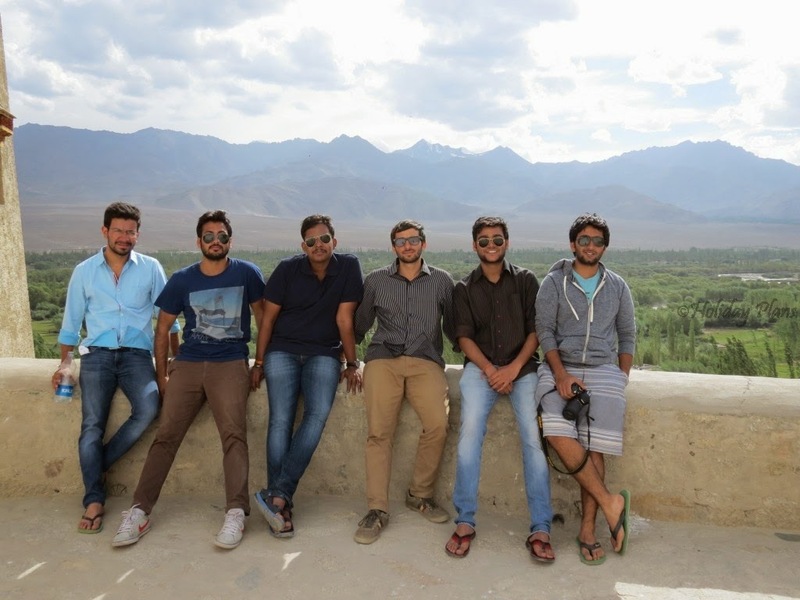 Today was our last day in Leh and we planned to visit monasteries and palaces in Ladakh. 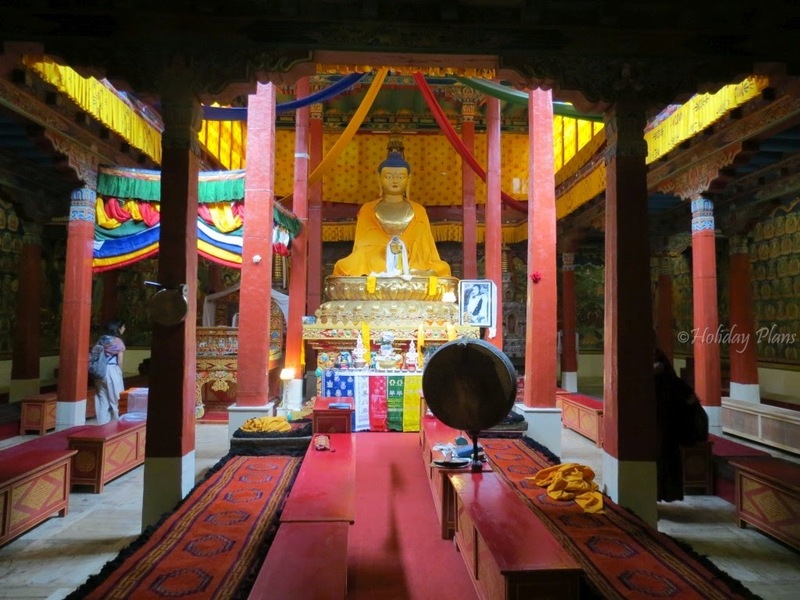 Although Leh has numerous monasteries but we decided to cover only a few. 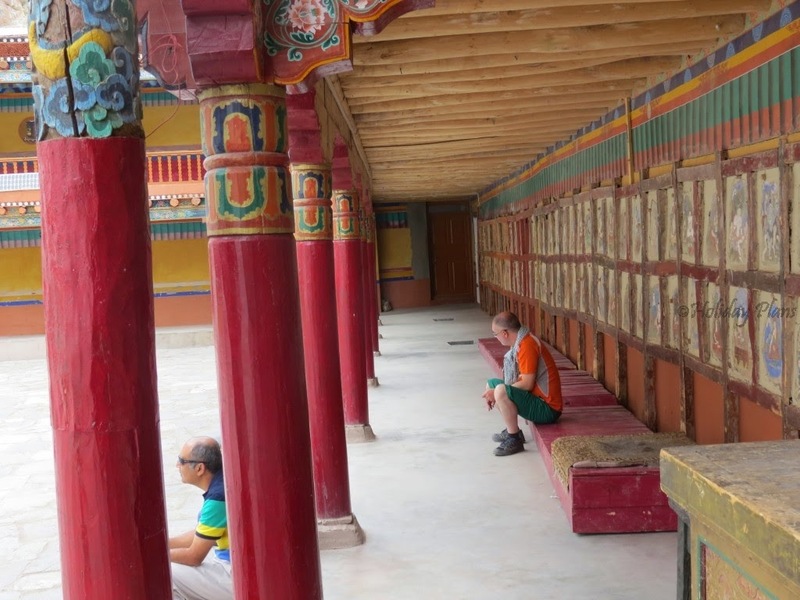 The first monastery we visited was Hemis Monastery. 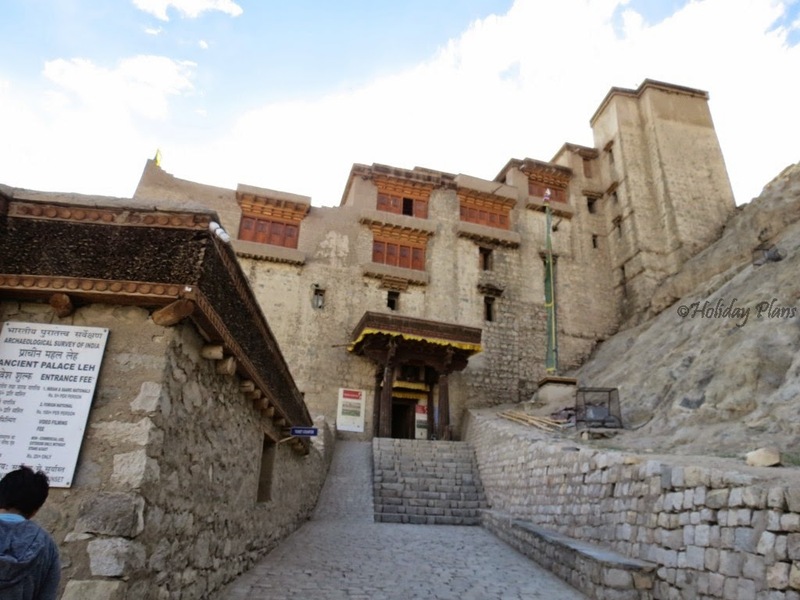 Situated at a distance of 47 kms from Leh, it is the largest monastic institution in Ladakh. 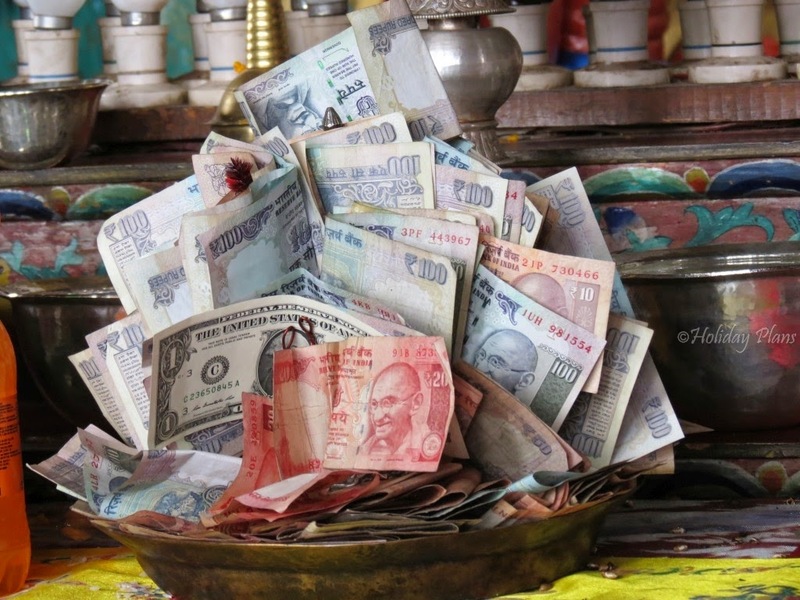 The monastery is also the wealthiest monastery in India and is open from 8 am to 6 pm (Lunch: 1pm- 2 pm). 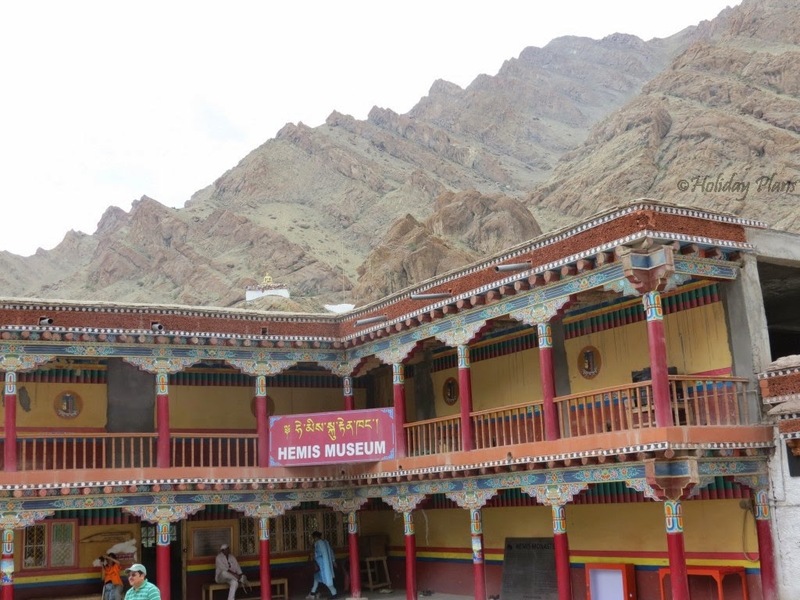 Hemis Museum inside the monastery is worth watching. You are not allowed to take shoes, camera and mobile phone inside the museum. 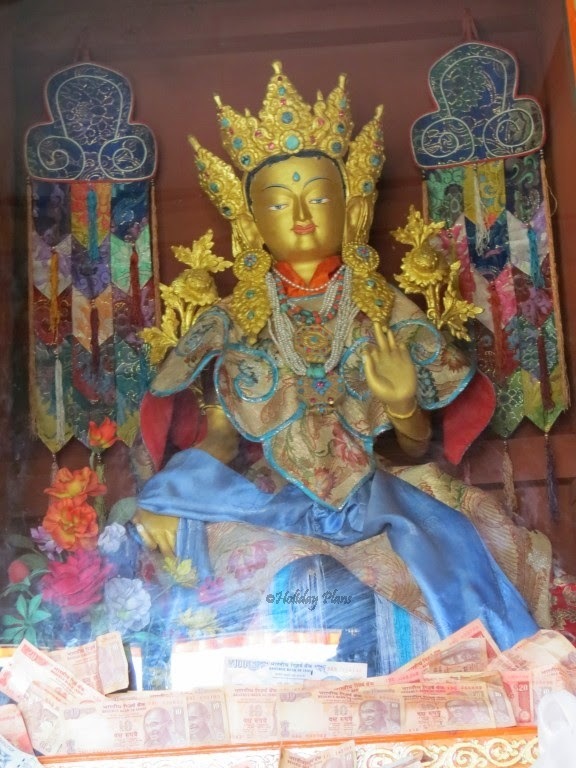 You can purchase some books, prayer flags and other items related to Buddhist culture from the monastery. One can see huge copper built Buddha statues along with beautiful carvings and paintings on the walls in the temple and the assembly hall. You are not allowed to take photographs at some places. The month of June is a good time to visit the monastery. It is when Hemis festival is held which attracts a lot of tourist from all over the world. The next destination was Thicksay Monastery. 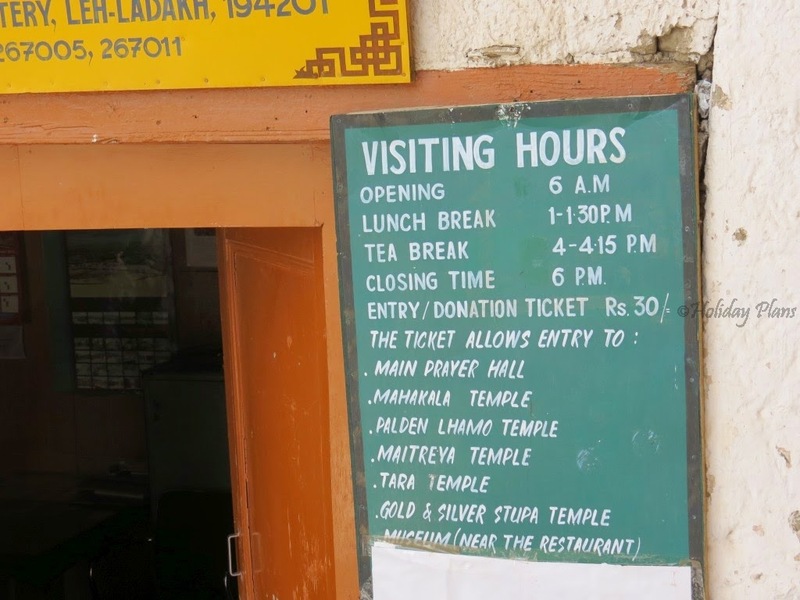 The monastery is open from 6 am to 6 pm (Lunch: 1-1:30 pm) and has an entry fee of Rs 30. As one enters, one will be greeted by some really beautiful flowers at the entrance. 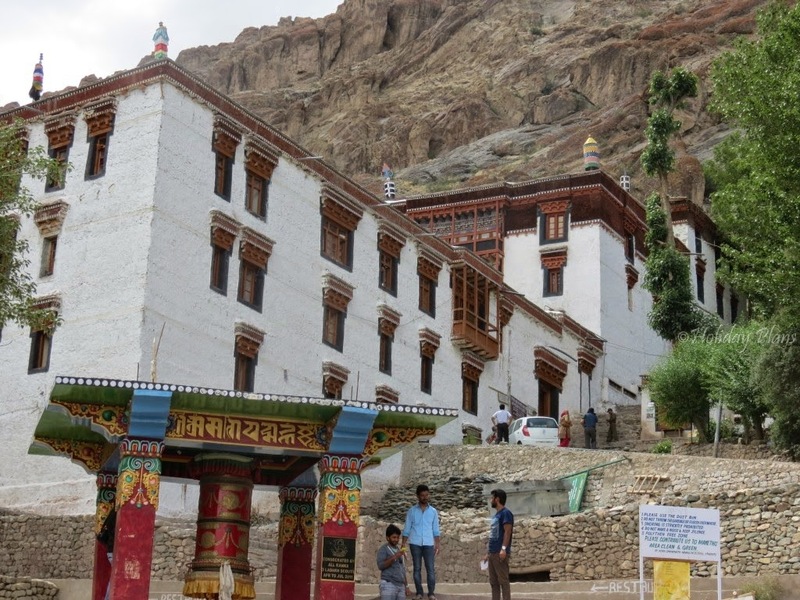 This monastery is also huge like Hemis Monastery with numerous praying halls, stupas, statues, thangkas, wall paintings and swords. The architecture of the monastery strongly resembles the “Potala Palace” in Lhasa, Tibet, the former official seat of the Dalai Lama. 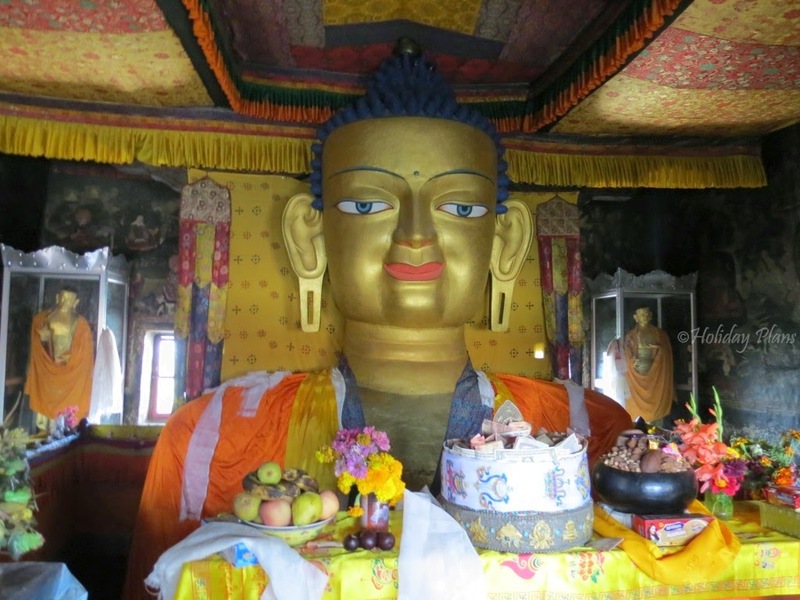 A major point of attraction in Thicksay Monastery is a two storeyed 12 m tall statue of Maitreya Buddha. This statue is the largest such statue in Ladakh. The courtyard of the monastery is huge. Photography without flash is allowed in the praying halls. You can a get a panoramic view of the valley from the monastery and it is one of the most picturesque views one might have ever seen from any place. The next destination was Shey Monastery and Shey Palace. 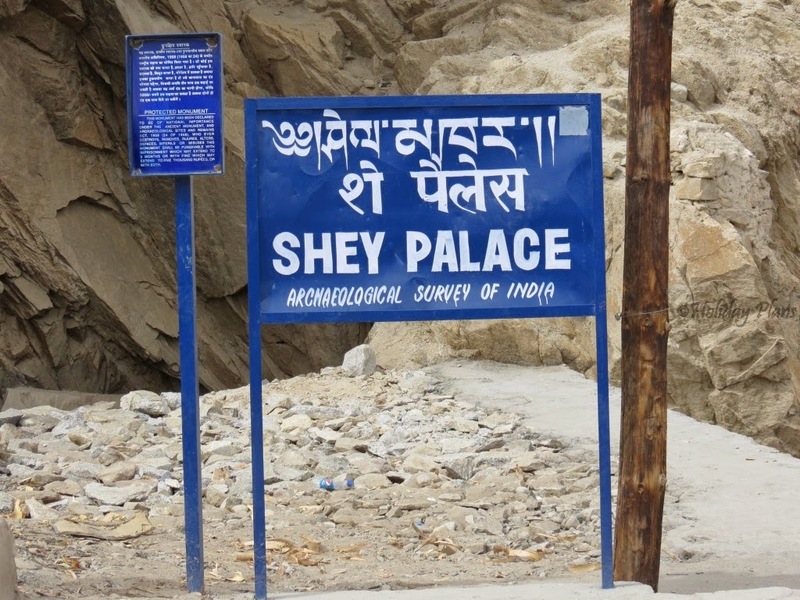 Situated 15 kms from Leh, Shey used to be the summer capital of Ladakh. 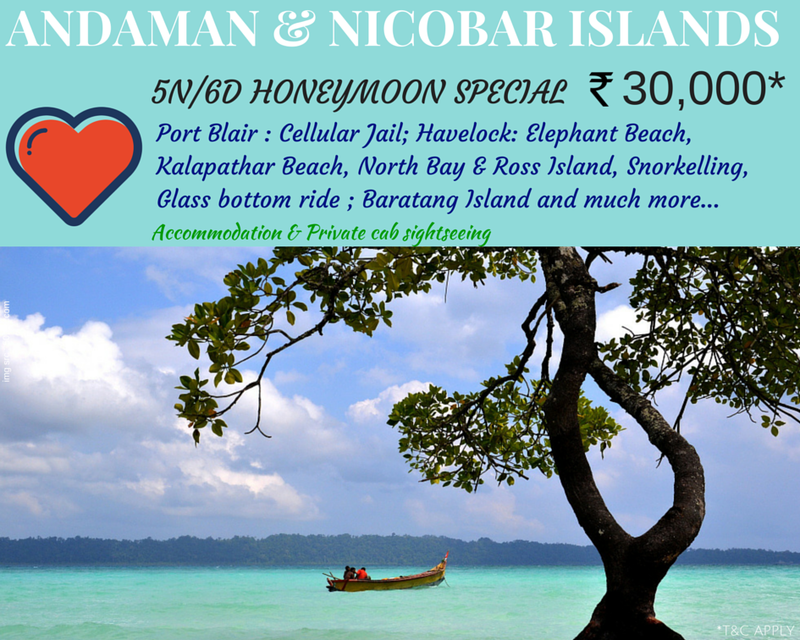 It has been declared a protected monument by ASI (Archaeological Survey of India). You would have to climb a few steps uphill before you reach the monastery. It was very tiring and we all were a bit annoyed about the monastery being made at such a height. But once you reach there you would definitely enjoy the view from top of the monastery. Also, the wind was at its full blow there. 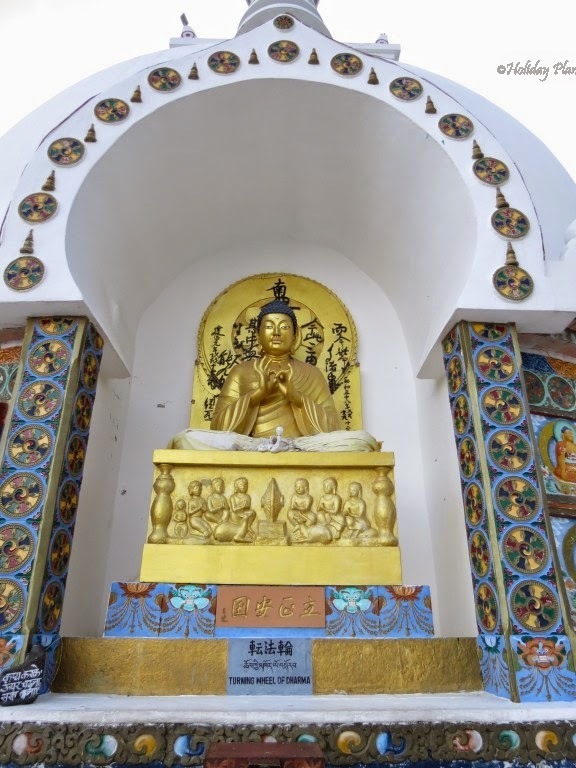 The monastery is noted for its giant copper gilded with gold statue of a seated Shakyamuni Buddha. 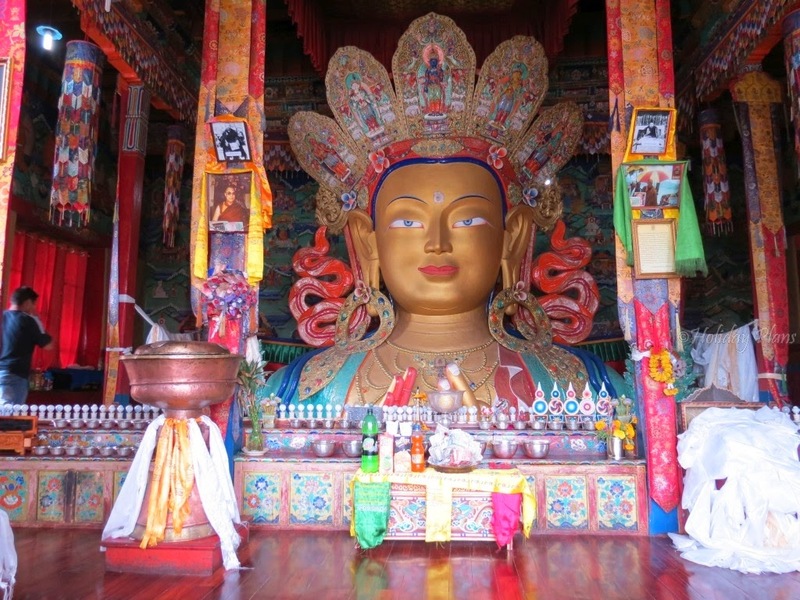 It is said to be the second largest such statue in Ladakh. Leh Palace was our second last destination for the day. 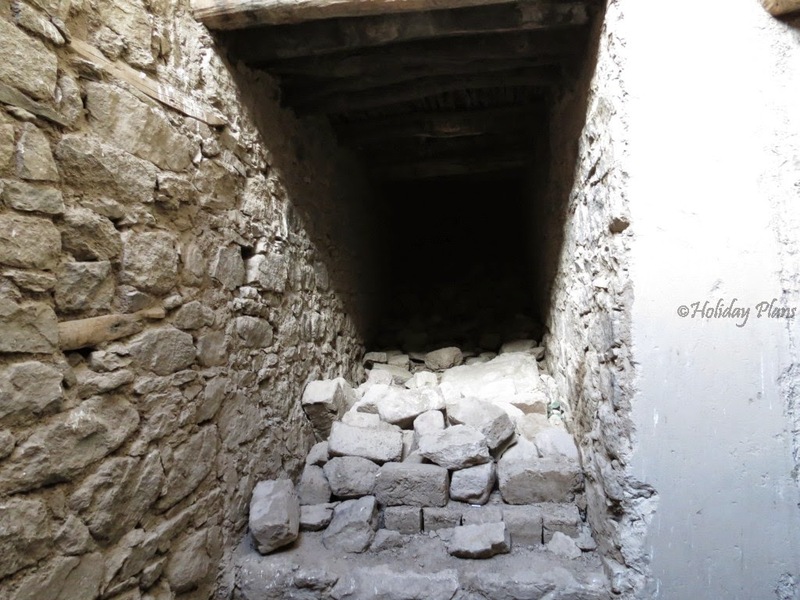 The 9 storeyed palace which was once ruined was restored by Archaeological Survey of India. 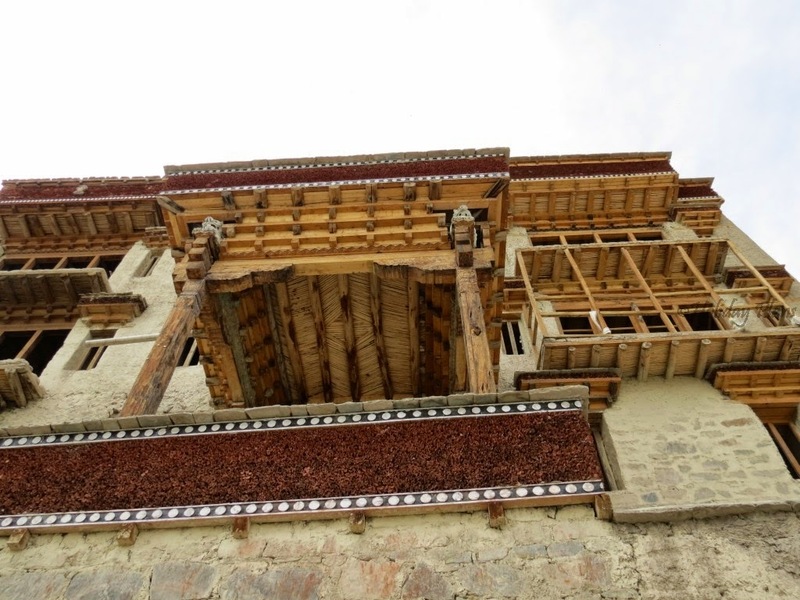 You can visit Leh Palace anytime from sunrise to sunset. 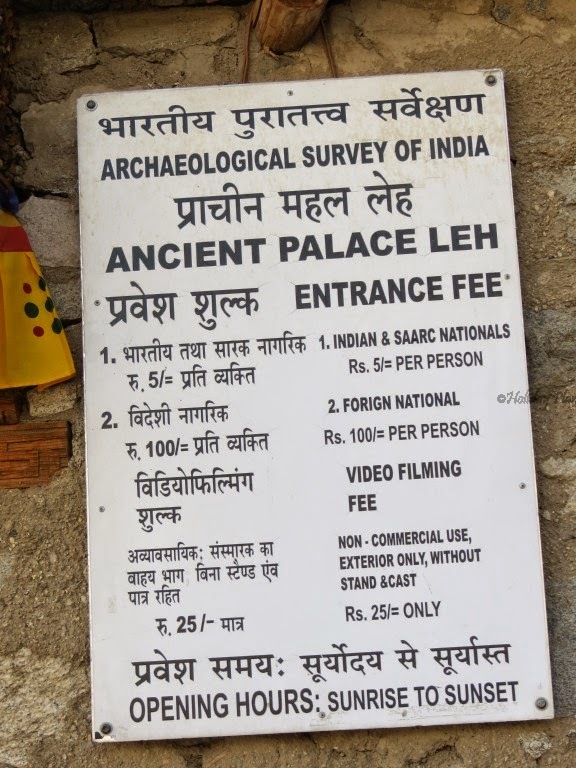 The palace has an entry fee of Rs 5 for Indians and Rs 100 for foreign nationals. Inside the palace you will find a rich collection of jewellery, ornaments, ceremonial dresses and crowns. 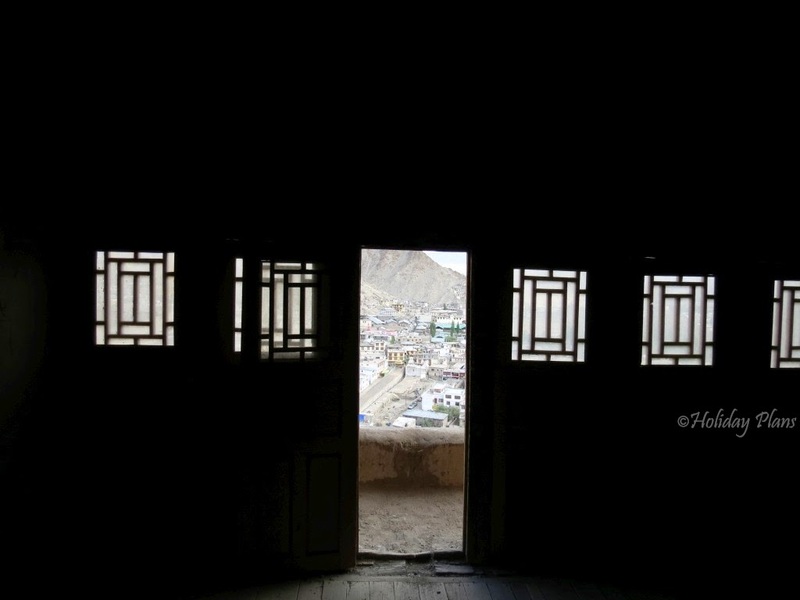 Through a maze of dark corridors, hidden stairways and makeshift ladders you can reach the top of the palace for an awesome view of Leh city, along with surrounding Zanskar and Leh range. You will also find a small palace prayer room and a one-room exhibition showing photos of J&K monument restoration. If you are present here during sunset, you will find it hard to describe in words the view you will witness of Sanchi Stupa from the rooftop. The last destination of the day was Sanchi Stupa, the peace pillar which is probably the best destination you will visit in Leh. Try to visit during sunrise or sunset. By the time we reached Sanchi Stupa the weather had changed drastically and it seemed as if it was about to rain any moment, chilly winds will deter you from climbing uphill. 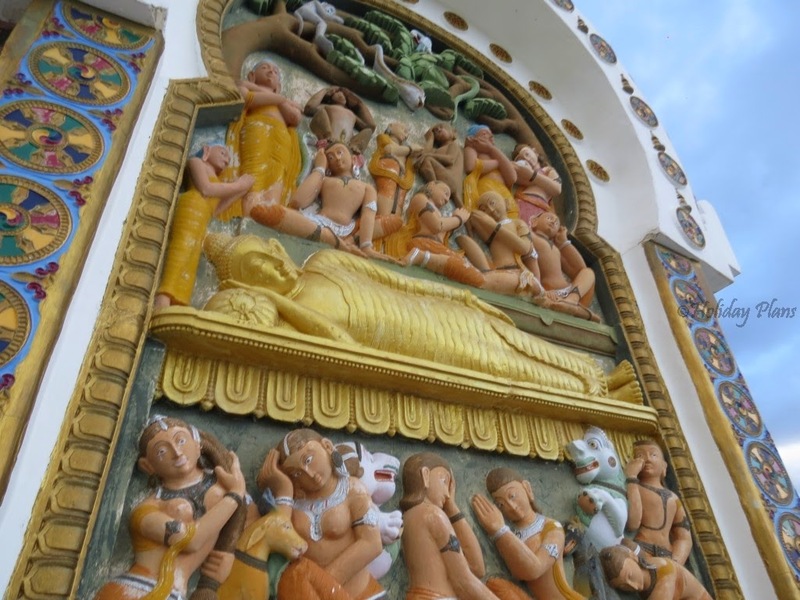 The walls of the Shanti Stupa will tell you the story of life of Buddha. 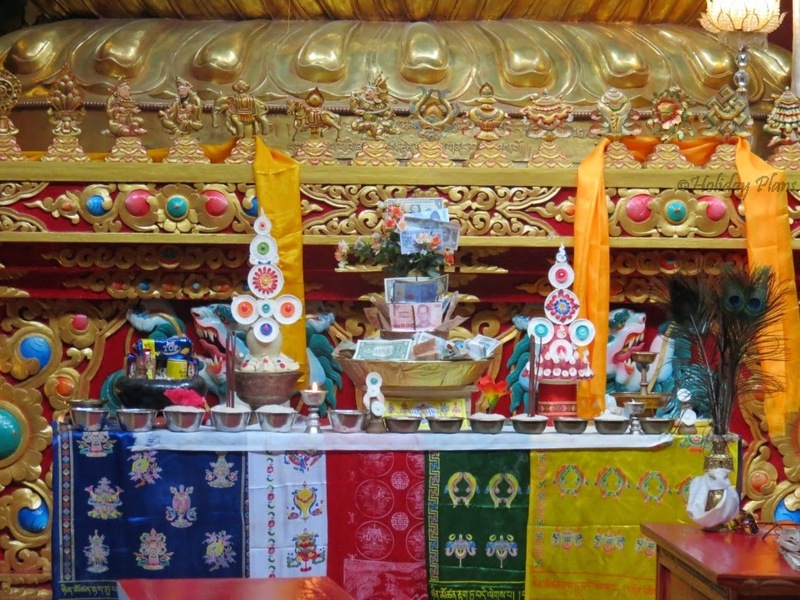 The stupa holds the relics of Buddha at its base. 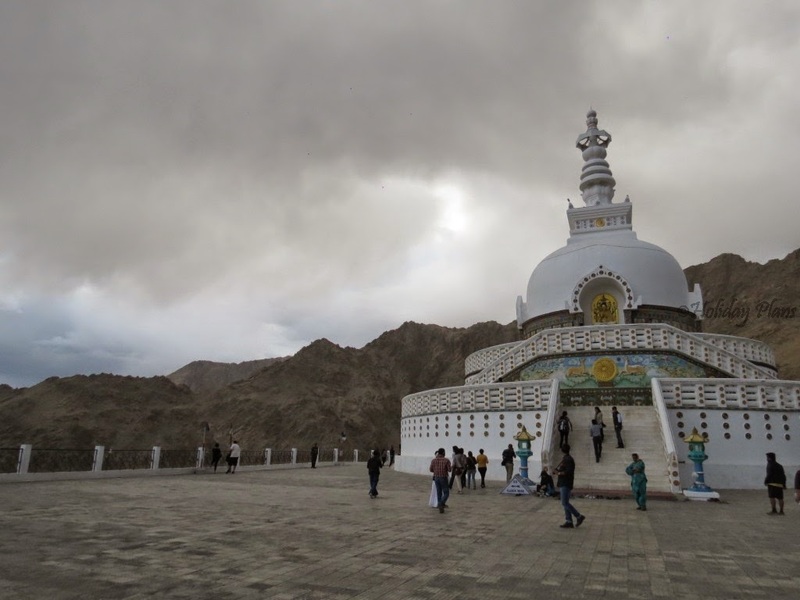 Also, Shanti Stupa is an important symbol of ties between Japan and Ladakh. 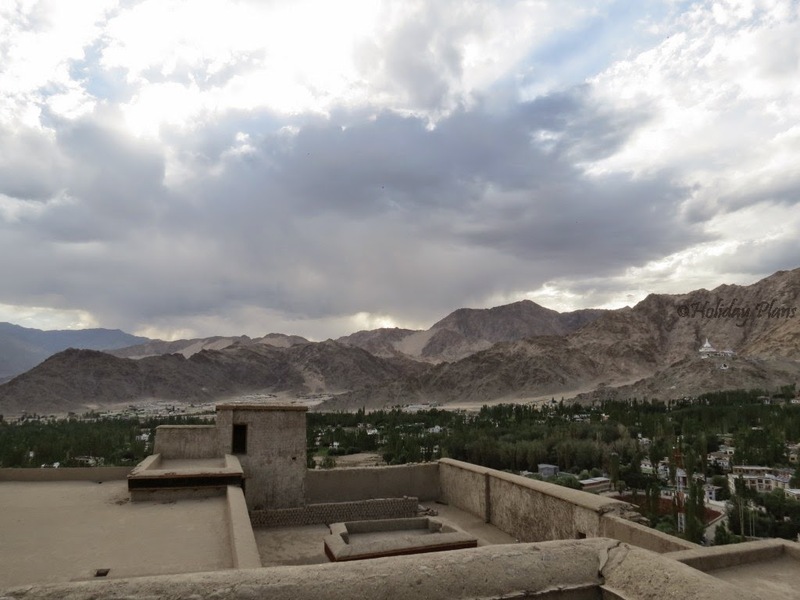 The panoramic view of the Leh city and Leh range will add further flavours to your visit here. 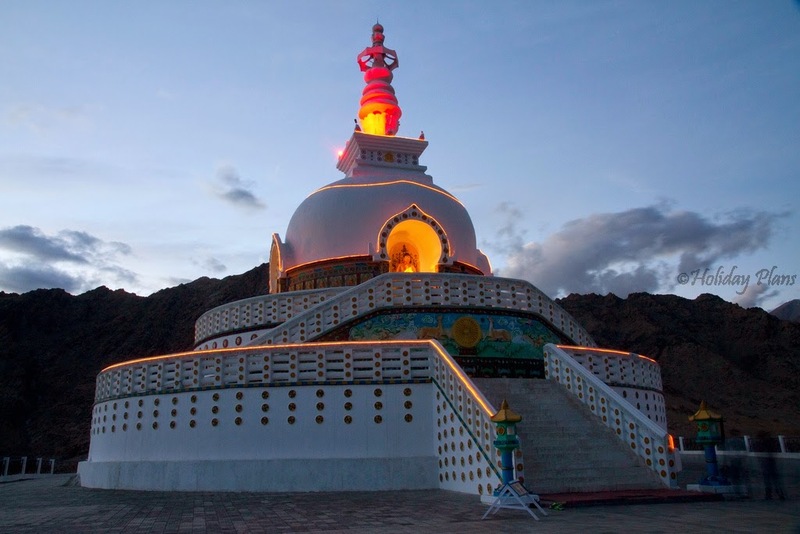 At night the Stupa is illuminated with lights, which enhances its beauty. After visiting you might have a feeling that all the monasteries and palace are almost same, but each has its own historical importance. 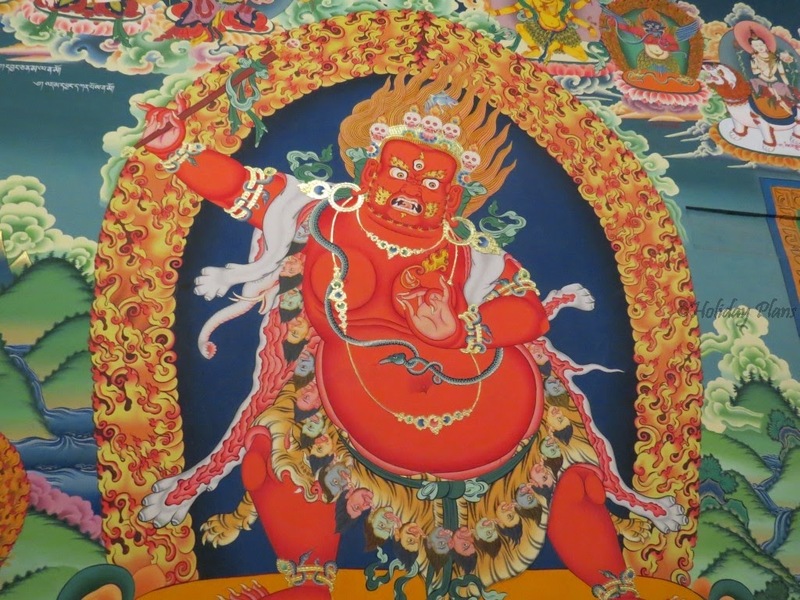 Each monastery tells you something unique about Buddhism. 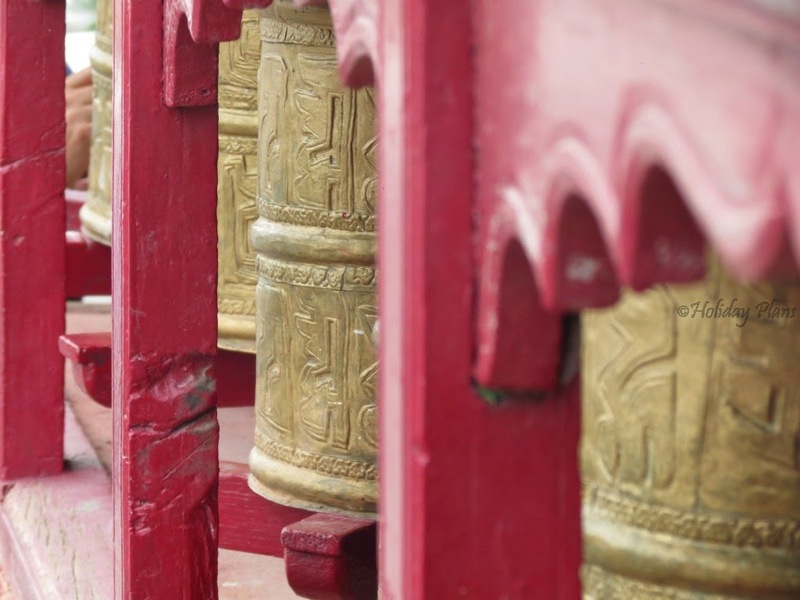 So if you are a history buff, these monasteries are a must visit for you. Stay connected for next article. Thanks for reading and check out more exclusive pics of the monasteries and palace in the Gallery section. Land of budhha. 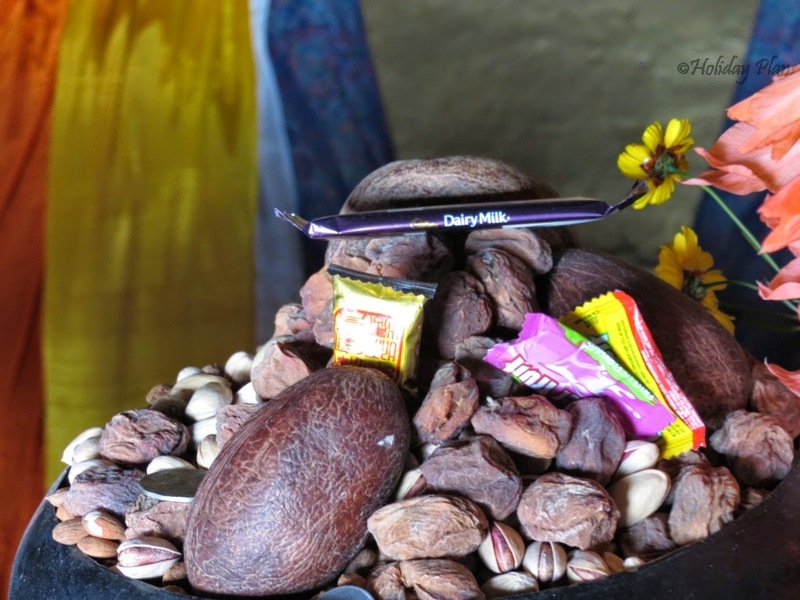 Traditional yet so interesting, A place which is beyond time. can never become outdated. Here the time stops and you enjoy the every moment spent here. 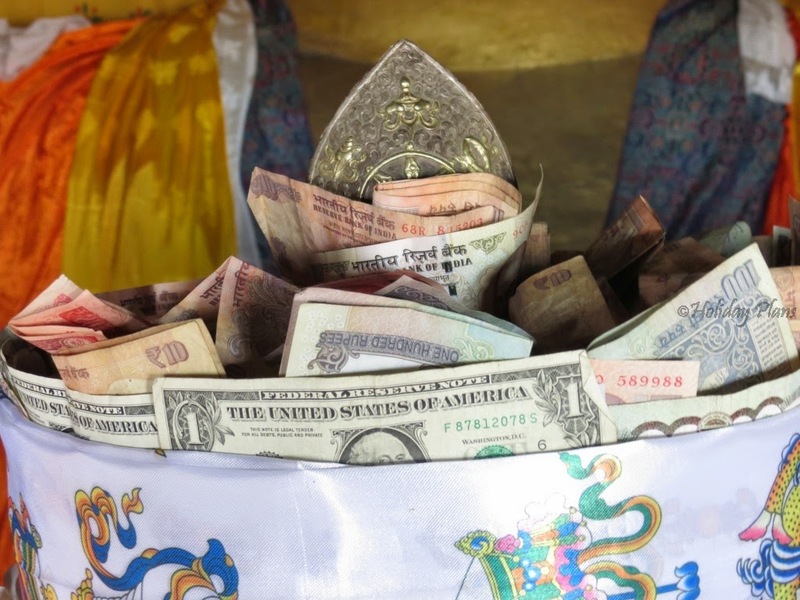 Leh is one of those places which has many Bhuddhist Monastries . 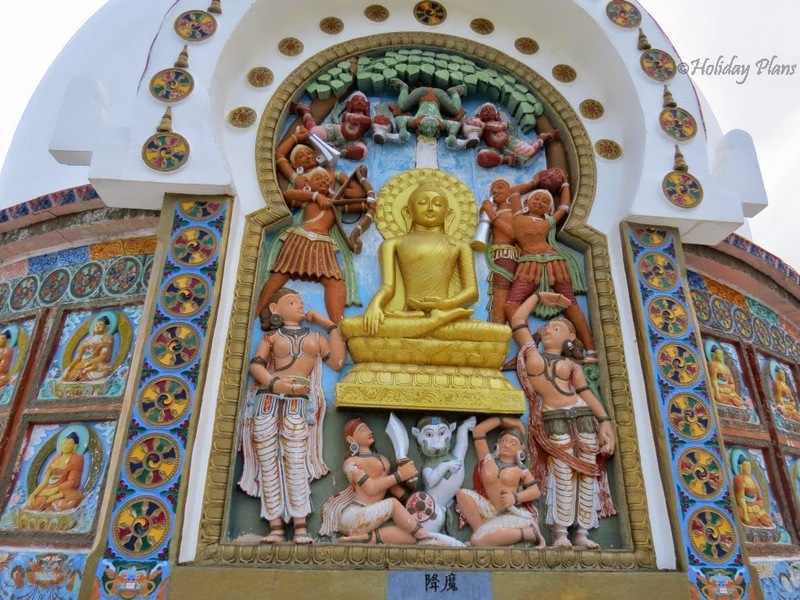 Come to have a feel of buddhist culture. 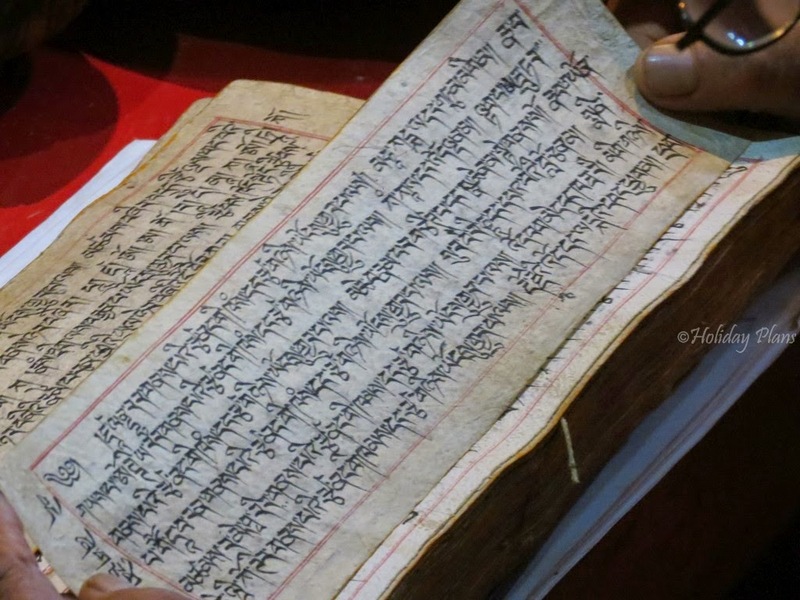 Perfect place for those interested in Dalai Lama's life.